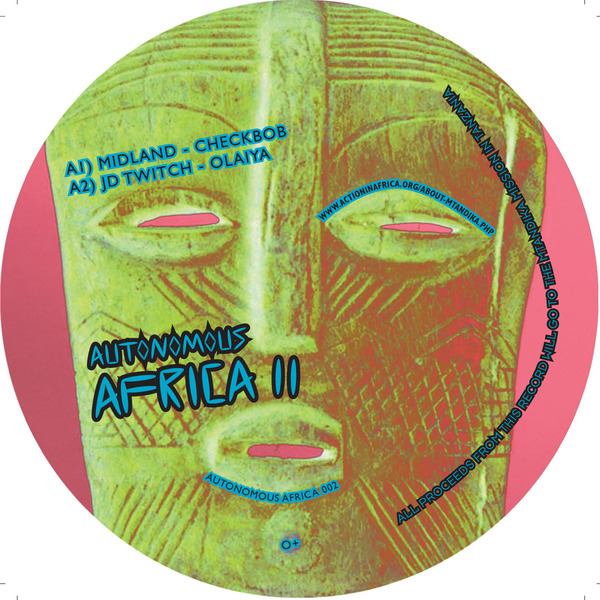 JD Twitch lines up with Midland and Auntie Flo on the 2nd single for his Autonomous Africa series - all proceeds go to Tanzania's Mtankdika Mission, which is run by Auntie Flo's parents. Midland gives up the percolating Afro-teched banger 'Checkbob', and JD Twitch kills it with the cut-up and technoid funk of 'Olaiya' and the rhythmelodic ripple and peal of 'Juju'; Auntie Flo plays cooler, craftier with the budging shuffle and swarming synth drone buzz, 'Water of Life'. Party-ready and great for the conscience.